Will have more on this later, but just got the word & wanted to share it with Red Rider Nation. Mason Monheim, the 2-time OCC defensive player of the year and 2-time 1st team All-Ohioan, gave his verbal commitment to the University of Illinois and new coach Tim Beckman today. Congrats to Mason & his family on a well deserved honor. Couldn't happen to a nicer young man. Illinois is getting a winner with a great work ethic and attitude. This is now the 3rd Red Riders in 3 years to commit to a Big10 school. Chase Hoobler was the first (to Indiana) in 2009, then Max Pirman (to Nebraska) in 2010, and now Mason. All happen to be linebackers...a credit to LB coach Jason Haley and a credit to head coach Doug Davault for the continued exposure he brings to the football program. Thanks to the Monheim family for keeping me in the loop all through the recruiting process & to Mason himself for letting me know the news of his verbal. Apologize for the absence lately, but I kind of needed a battery recharge. I'm going to do as much catching up as I can in one post. Winter Sports Season is in the early stages, the Smitty Classic is this weekend, and there's been some turnover among the ranks of the Ohio Cardinal Conference football coaching fraternity. Oh, and Merry Christmas and Happy Holidays to all of you. Another great year of being a Red Rider!! Time to pass out some post-season football awards. Here's everything from All-OCC all the way up to the All-Ohio team that was just released yesterday. Congrats to all the honorees. 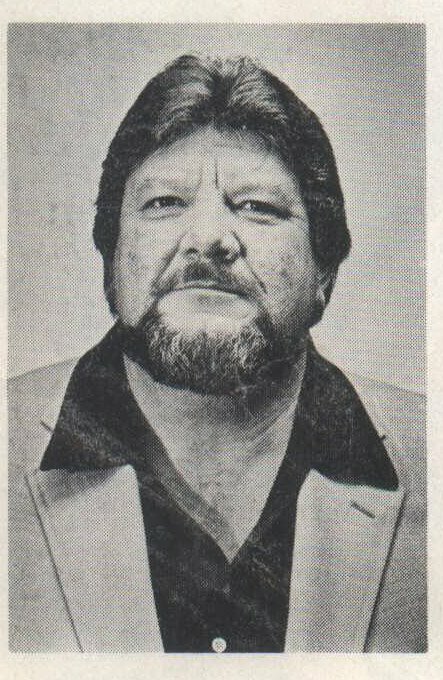 UPDATE: Here are some links to local news coverage of his passing. Ohio.com (Akron Beacon) & Daily Record. Here is Mo's obituary and information on services from Auble Funeral Home's website. A coaching legend has passed. Morris "Mo" Tipton passed away today after a short period of declining health while in South Carolina with his family. Thoughts and prayers to his wife Suzanne, children and grandchildren. 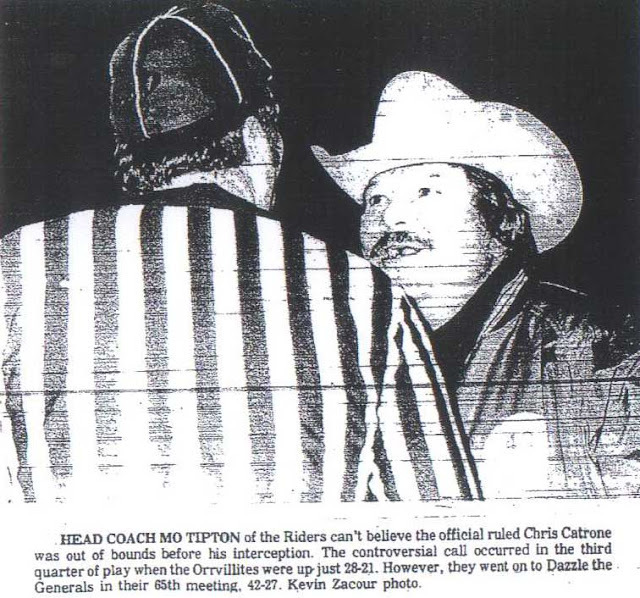 The architect of "Red Rider Tradition," Coach Tipton is the all-time winningest coach in Orrville history, compiling 168 wins from 1965 to 1987. 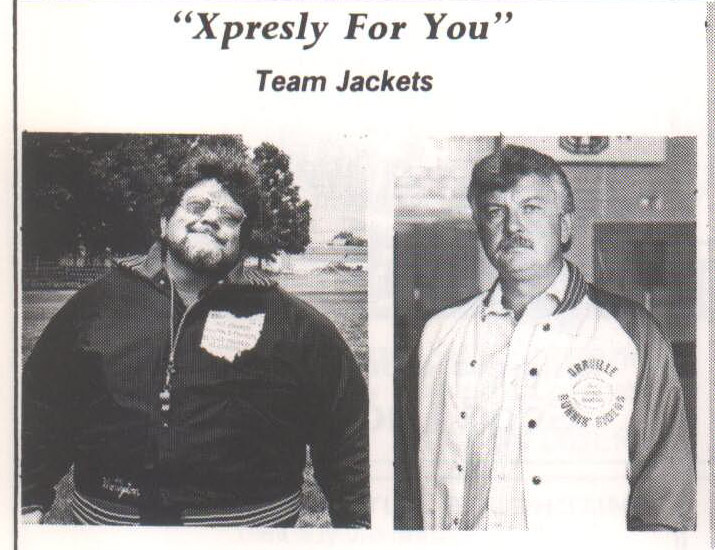 His all-time record at Orrville was 168-69-5 in 23 seasons (He was 203-84-6 in 28 seasons counting his time at Akron Hoban and Coventry). He led 13 Orrville teams to conference titles, 7 teams to undefeated regular seasons, boasted 6 playoff appearances, 8 playoff wins, 4 regional titles and 2 state runner-up finishes. The Orrville football program is what it is thanks to Coach Tipton....and it was great seeing him this past October at his son Clay's induction into the Orrville Sports Hall of Fame. Thoughts and prayers to the Tipton family, and all who called Coach Tipton a friend. 1. Smitty and Mo...Two coaching legends. 3. "When the Coach talks, player listen." Share your "Mo"-ism. The comments section is wide open for anyone who knew Coach to express their sympathies or to simple share a story or fond memory. I've removed the registration requirements, so you don't need to sign up with an email address in order to comment. I'll still review and approve all comments for appropriateness. Mo Reading. Here are two articles I did on Mo..the first from January 2009 and one from April of 2010 when he was inducted into the Ohio High School Football Coaches Association Hall of Fame. First one of these I've done in over 3 years running this site, so I guess it's overdue. See below for a 10 question reader survey. I'm trying to get a grasp of how the site is perceived and what you the reader would suggest as improvements to the site. It's anonymous, so please be honest in your responses. Saturday's playoff didn't end like anyone wanted...or even thought it would. The 34-19 loss to the Bobcats was a tough loss, no getting around it. 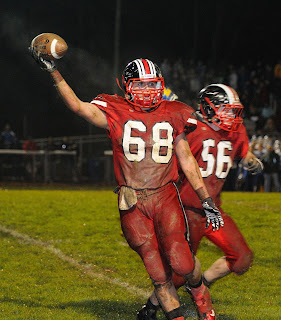 It was one of those nights that nothing went right for us and everything went right for Norwayne. I'm not going to spend time delving on what could have and should have happened....just going to say congratulations to the Bobcats and good luck the rest of the way. Thought I'd share some facts/stats and helpful hints for this Saturday's Regional Semifinal game between Orrville and Norwayne...I posted thoughts on the game itself earlier...but wanted to focus on all the extra "stuff" associated with this matchup. Updates: I'll be sending updates through Qwixcore, a service of the high school website MaxPreps.com, click here to follow along online. I'll post the link on Saturday where you can follow along. Coaches: Doug Davault for Orrville (50-21 in his 6th season, 8-3 playoff record) and Joe Harbour for Norwayne (19-4 in his 2nd season, 2-1 playoff record). 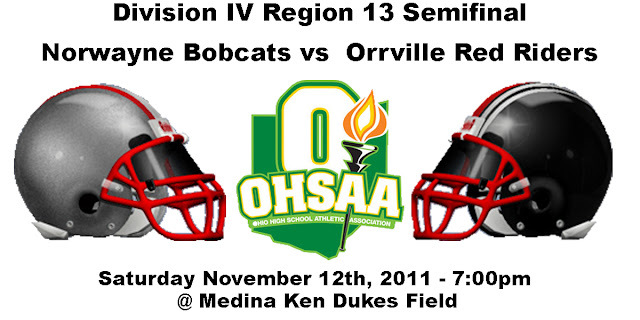 Playoff History: Orrville is making their 22nd appearance and have a 29-20 playoff record. 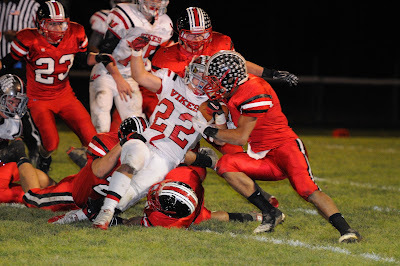 Norwayne is making their 4th playoff appearance and is 2-3 all time. Well...the talk is pretty much over, time to see this matchup actually happen. This is what playoff football is all about. Two good teams from supportive communities who will lay it all on the line to be one step closer to a state championship. I'll talk briefly about what each team needs to do well and give my thoughts on how I think this one plays out. Wanted to get this out there before the craziness of this weekend hits. Aaron Simon, an OHS junior and Troop 60 Boy Scout is putting together a pancake breakfast this Saturday (November 12th) from 7:30am to 12pm at Trinity United Methodist Church in Orrville. Donations will be accepted for the breakfast and the proceeds will be used to fund an Eagle Scout project at the OHS soccer field behind the Orrville Boys and Girls Club. A new flag pole will be constructed at the field as well as the construction and installation of a soccer kickboard. Please consider supporting this worthwhile effort. 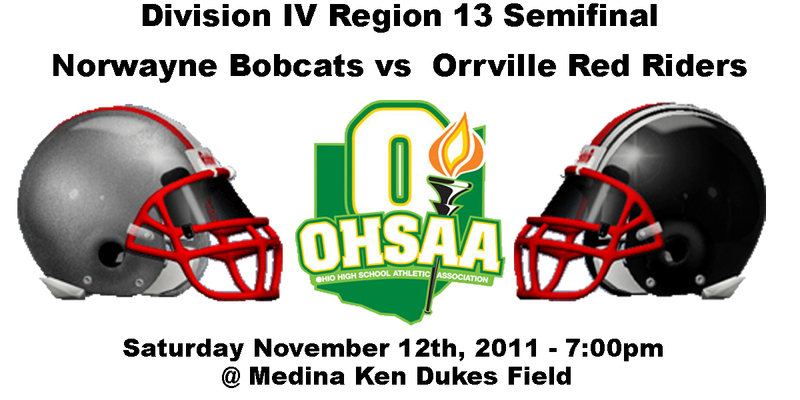 Fill up on some pancakes and then head to Medina to watch the Orrville/Norwayne playoff game. Sounds like a good day to me. Good luck with the project Aaron!! Another chapter in Red Rider Football playoff history is in the books, and what a night it was. An action packed 53-14 win over LaBrae and Orrville is back in familiar territory, week 12...something only 16 teams in Division 4 can say at this moment. The win was the 29th win in the history of Orrville playoffs, the 596th overall and the 50th for head coach Doug Davault. Let's look back on the win and look ahead to the much anticipated week 12 matchup with the Nor-what? Norwayne Bobcats. Pics courtesy of Rod Dilyard. Full Gallery here. Thanks Rod! It's November 1st, leaves and temperatures are falling, Orrville just beat Wooster and helmets are full of skulls....yep...it's playoff time. 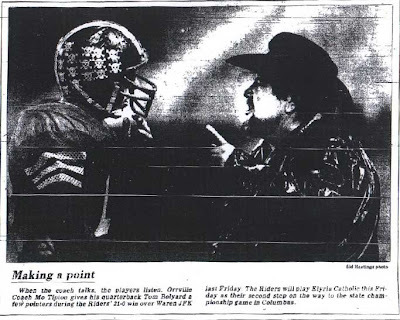 For the 22nd time in the 39 year history of the OHSAA state football playoffs, the Orrville Red Riders will once again be playing in week 11 (and hopefully beyond). 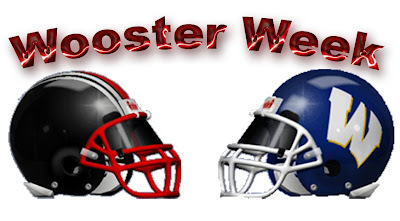 Some quick notes about the Wooster game, and we'll look ahead to the 2nd season. Here are the details related to the sale of presale tickets for the Labrae/Orrville playoff game this Saturday at 7pm at Red Rider Stadium. Tuesday- Beginning at 7:00 p.m. through 7:30 p.m. in the OHS lobby tickets to current reserved season ticket holders will be sold. Season ticket holders will be able to purchase the same reserved seats in which they had during the fall. Beginning at 7:30 p.m. through 8:00 p.m. general admission tickets and all other reserved seats will be available. Wednesday - Friday- Tickets will be sold out of all 3 Orrville school buildings during school hours. They will also be sold during business hours at Carmichael Sports and Expert T's in Orrville. ALL presale tickets are $7.00. ALL tickets at the gate are $9.00. Fans are encouraged to purchase presale because Orrville gets a percentage of the presale and nothing that is sold at the gate. Last Week: Orrville lost to Mansfield Senior 21-14, West Holmes beat Ashland 35-31. Last Year: Orrville won 38-6. 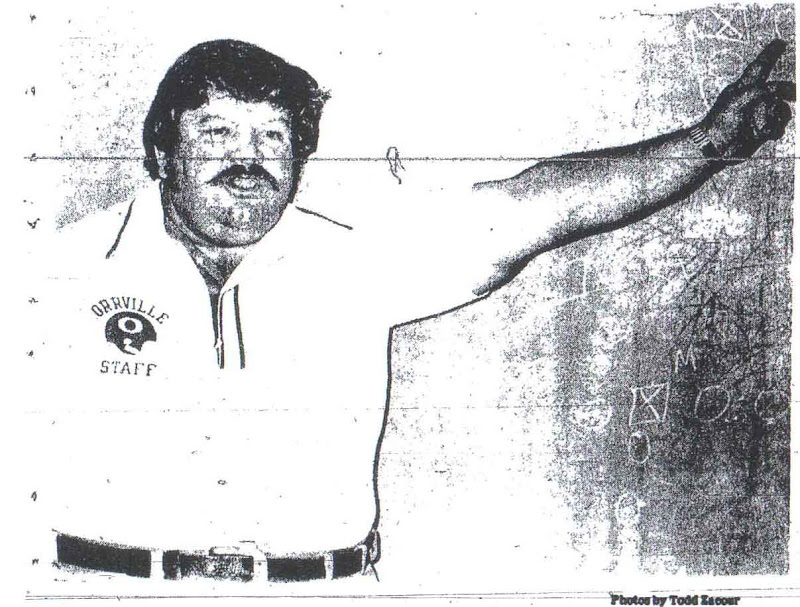 Coaches: Orrville coach Doug Davault is 45-20 in his 6th year. Kevin Maltarich is 5-10 in his 2nd season with the Knights. 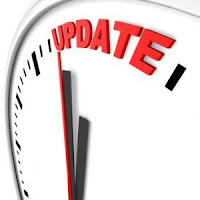 Radio/TV: 104.5 WQKT will provide updates. The game will be streamed online at The Voice of Holmes County. Click here for directions on how to listen to the game through your cell phone. Computer Points: Both Orrville (Region 13) and West Holmes (Region 11) both sit in 8th place in the latest computer point standings. West Holmes region is stacked with perennial powers Steubenville, Mooney and Dover...as well as Stark County powers Minerva, Northwest and Marlington. Overview: Last week could not have went any differently for the Riders and Knights. 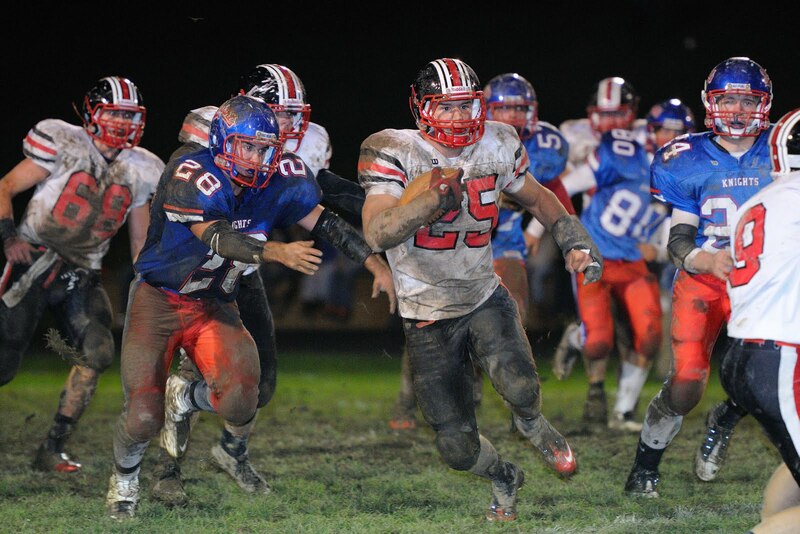 Orrville dropped a game they were heavily favored to win to Mansfield Senior, and West Holmes completed a comeback dubbed the 'Millersburg Miracle,' beating Ashland for the first time in program history, 35-31. Orrville has won 6 of the last 8 meetings (outscoring the Knights 80-6 in the last 2 meetings), but the 2 Knight wins in that stretch (2007 and 2008) kept the Riders from the postseason each year. Last Week: Orrville beat Lexington 35-12, Senior lost to Clear Fork 35-28. 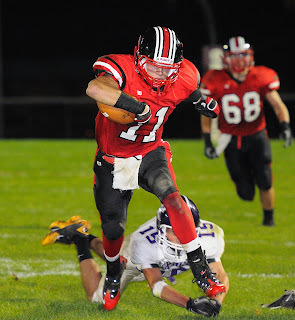 Last Year: Orrville beat Senior 28-14. Coaches: Orrville coach Doug Davault is 45-19 in his 6th year. Chioke Bradley is 7-7 in his 2nd season as Tyger head coach. Radio/TV: The game will be broadcast on WRGM AM1440/97.3 FM starting at 6:45pm. It will also be streaming online...click here Friday evening to stream the game on your computer. Overview: Two teams seemingly headed in opposite directions will meet up Friday night in Mansfield at the beautifully renovated Arlin Field. The Tygers are 1-3, losers of three straight games, and last week lost the focal point of their offense in senior running back Terrell Dorsey to a season ending leg injury. 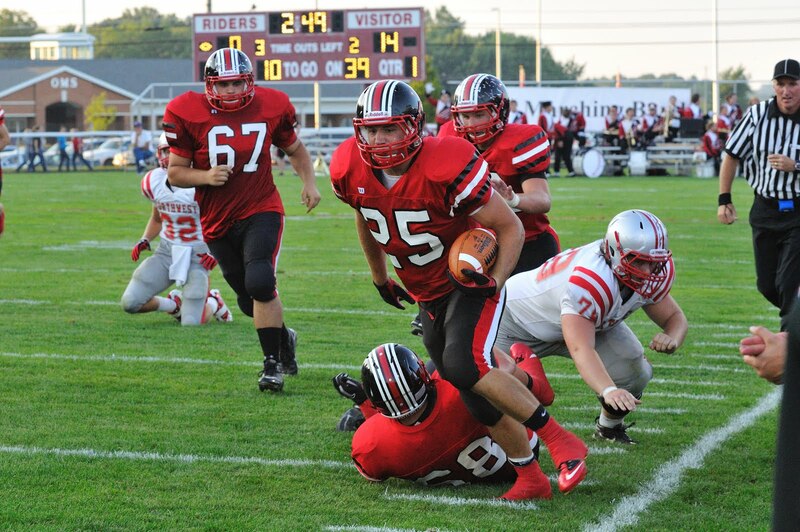 Orrville is fresh off a 35-12 drubbing of Lexington and is looking to stay perfect in the Ohio Cardinal Conference behind a quick-strike offense and a defense that has allowed the fewest total points (59) of any OCC team through 4 weeks. Orrville has won the last 5 meetings between the schools. Well, Friday night after Week 4 sure felt better than Friday night after week 3 didn't it? A nice bounce back performance by the Riders. Doesn't it seem when this program is counted out or doubted that they always respond? Not just sometimes...ALWAYS. Again....TRADITION. Let's review the game, the rest of the OCC, some Region 13 chatter and a little bit of volleyball, golf and Tim Hiller sprinkled in for good measure. Pics, as always, courtesy of Rod Dilyard. Lexington gallery here. Thanks Rod. 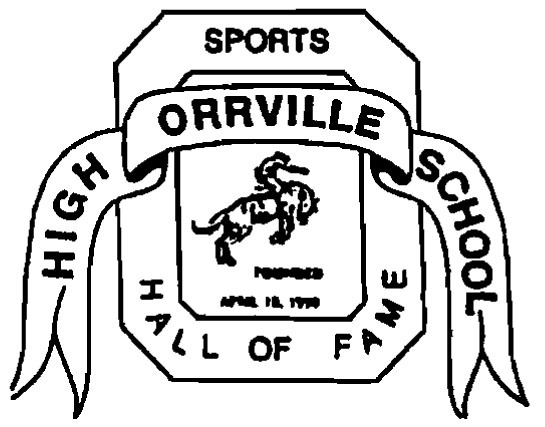 We're just a little over 3 weeks away from the bi-annual OHS Sports Hall of Fame induction, to be held Saturday Night October 8th at Orrville High School. 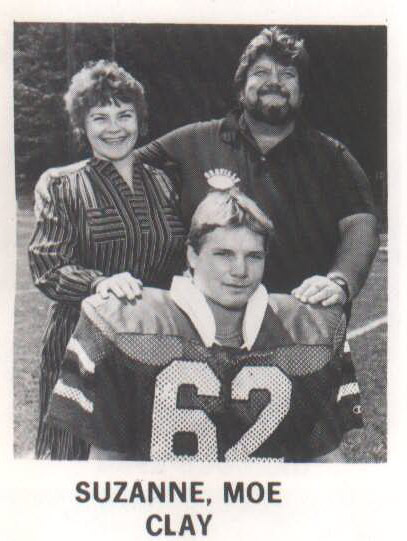 The event will start with a dinner at 6pm in the gym, followed by the induction in the OHS Auditorium. Here's a ticket order form, and I'd recommend getting your order in ASAP so a final count can be given to the caterers. It's a great night of Red Rider Tradition and in addition to the 8 inductees, the 1991-92 State Champion Boys Basketball team will be honored. 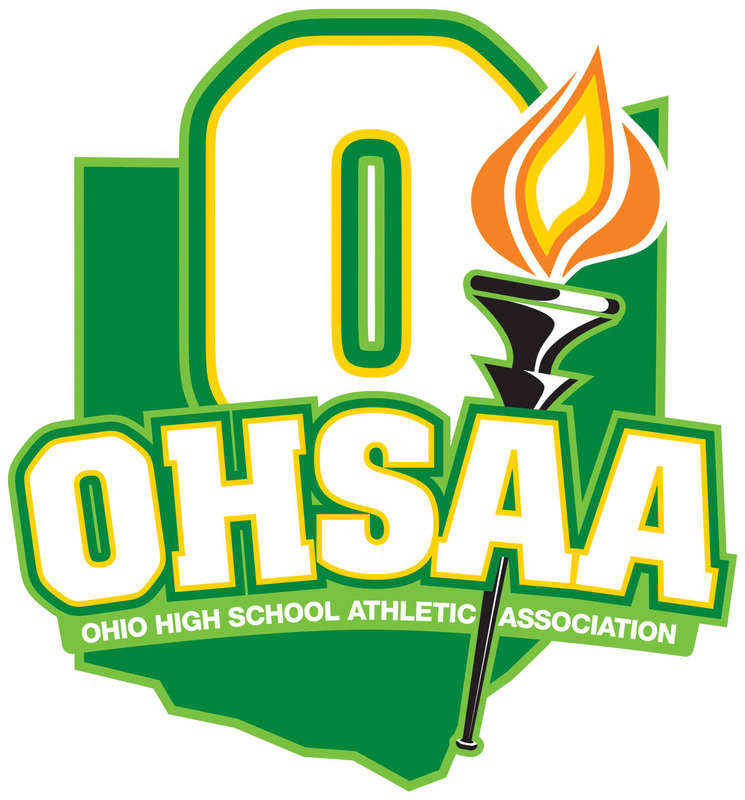 It's been nearly 20 years since that team won Orrville's first ever team state title and it's hopeful that a good number of players from that team will be in attendance. Last Week: Orrville lost to Copley 13-7 (OT), Lexington lost North Canton Hoover 32-0. Coaches: BJ Payne is in his 6th season as Minutemen head coach, his overall record is 34-21. 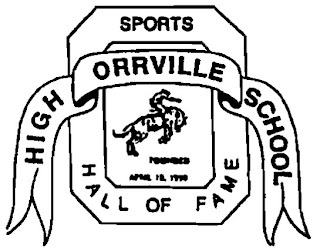 Doug Davault is also in his 6th season for Orrville, with an overall record of 44-19. Radio: WQKT 104.5 FM will carry the game. Click here a little bit before 7pm Friday to listen live. Last Meeting: 2010 - Copley won 34-33 in double overtime. 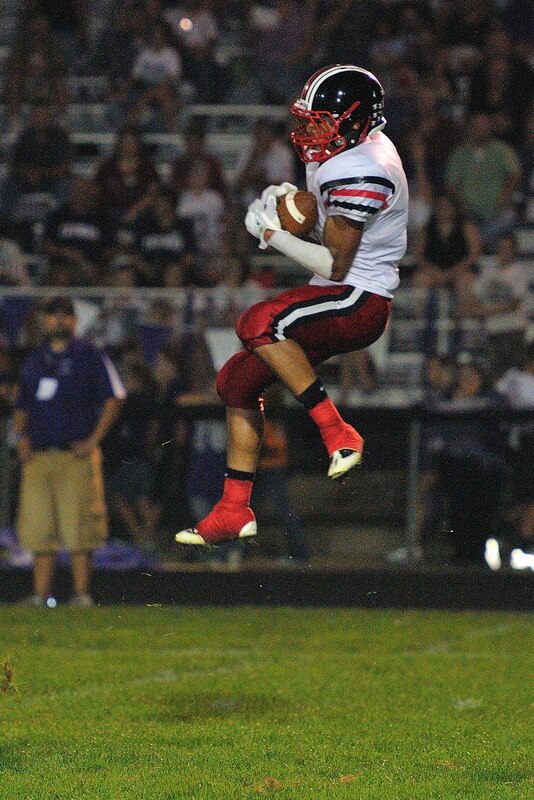 Last Week: Orrville beat Triway 52-7, Copley beat Akron Firestone 24-14. Coaches: Doug Davault is 44-18 in his 6th year as Orrville coach, Ron Viscounte is 20-23 in his 5th year for Copley. Wanted to take a minute to congratulate Orrville senior DB/WR and special teams extraordinaire Stewart Turner for his verbal commitment over the weekend to Ball State University in Muncie, Indiana. Ball State was the first school to offer him, and over the weekend he attended Ball State's win over Indiana at Lucas Oil Stadium in Indianapolis. The school has been very aggressive in recruiting the speedster, and I think he'll be a great fit there. The verbal was first reported Monday evening by the Ball State website BallStateInsider.com and verified by the ScoutingOhio.com website earlier today. This continues the streak of Orrville football players to land Division 1 offers, joining the likes of Tim Hiller, Rhyne Ladrach, Chase Hoobler, Sam Miller and Max Pirman. Turner is being recruited by the Cardinals as a defensive back, but his ability anywhere on the field can't be questioned. He'll be an asset to the Cardinals at any position. 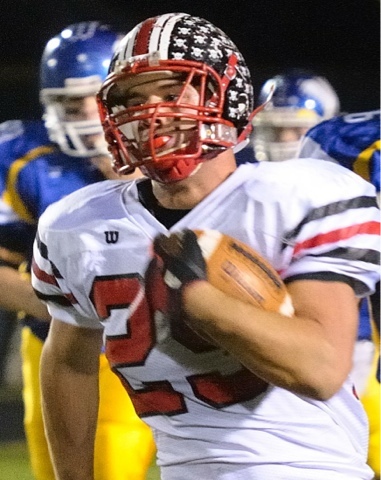 Since coming to Orrville last season, Turner has averaged nearly 100 all-purpose yards per game and has scored 13 touchdowns in 16 games. His versatility is a big part of Orrville's fast 2-0 start and he's a game changer with elite speed and great hands at the receiver position and great cover ability from his cornerback spot. Always gives me a lot of 'Rider Pride' to report on an Orrville athlete earning a full scholarship to play at the next level. It's great to see young people use the gifts they're given and work hard for to further themselves. Congrats to Stewart, his family, coaches and teammates. Week 2 of football season is in the books...a nice 52-7 thumping over Triway. Again, can't complain about the points this offense has put up and the play of the defense either. But still lots to work on, but that's a good thing. No reason to peak in week 2. Seems that through history, Coach Davault's team hit their stride late in the season and are playing their best ball late in the season. I'll hit the high points of the win over Triway, look ahead to week 3 vs. Copley and look at the upcoming week for all the fall sports teams. 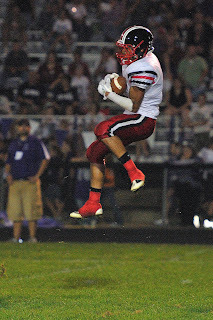 Last Week: Orrville beat Northwest 41-27, Triway lost to West Holmes 20-7. Coaches: Doug Davault is 43-18 in his 6th year as Orrville coach, Tony Lee is 16-7 in his 3rd season as Triway coach. It's the 40th matchup between the Riders and Titans, and the 3rd time these teams have met in the past 15 weeks of football. Two programs that are very familiar with each other, and will look to add another classic chapter to this local rivalry. Not going to dive too deep into analysis. A win is a win. And in week 1, all I could have asked for is a win, so it should end there. But some observations from a convincingly, if at times, sloppy 41-27 win over Northwest. Pic at right courtesy of Rod Dilyard Photography. A complete gallery from the game can be found here. Thanks to Rod for again providing this service. Here is my season preview football article that will also appear in this Friday's (8/26) OrrViews. I know a lot of my readers are out of the area, so I figured I'd post it here to reach those not in or around Orrville. Enjoy. Oh, here's a roster, schedule and a Region 13 map for your reference. 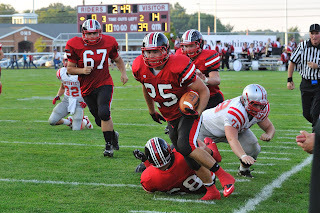 Courtesy of LouisvilleLeopards.org, a fan site run by Leopard fan Jared Heller, here is a link to pictures and video from last night's scrimmage at Orrville. Really nice job by Jared....and very kind words about his experience at Orrville. I liked what I saw in the scrimmage from the Red Riders. I like to think that our young line will only get better as the season progresses and that should help our run game. The games count for real in less than a week. Hope to see a full stadium for the Northwest game. Come out and see the new lights, the new scoreboard and hopefully, a Red Rider win. Check back mid-week for my season preview as well as a game preview. I live for this kind of stuff, in case you hadn't figured it out by now. Another renovation is taking shape at Red Rider Stadium which seems to be a yearly thing anymore (new bleachers, new track records board, new turf in place of the asphalt on the sidelines, a new scoreboard on the way, brand new field turf). OK, that last one hasn't happened...yet. But it is nice to see continuous upgrades. The stadium is on the wrong side of 50 years old and upkeep it vital to keeping it looking good. The latest improvement in process right now is the install of new aluminum light poles and the removal of the old aging wooden ones. Along with it are new light sets which will eliminate dark areas of the field. The project of adding new light poles came in under budget so it was decided to add new light fixtures as well. I guess a local official once said that our field was one of the poorest lit fields in the area. This project should eliminate that issue.